Wilfried Zaha's opportunist strike handed Crystal Palace a first Premier League win of the season as Middlesbrough's unbeaten start came to a disappointing end. Zaha capitalised on a dreadful error by Boro full-back George Friend two minutes into the second half to clinch a deserved victory - just a third in 23 league games in 2016 for manager Alan Pardew - in front of a crowd of 30,551 at the Riverside Stadium. Christian Benteke had earlier paid off the first instalment of his B#27.5million transfer fee by heading the visitors into a 16th-minute lead, his opening goal for the club, and although Boro defender Daniel Ayala levelled seven minutes before the break, Pardew's men were not to be denied despite two late penalty claims. With Joe Ledley prompting play behind a trio of Andros Townsend, Jason Puncheon and Wilfried Zaha in support of lone striker Benteke, the visitors controlled the opening period of the game as Zaha in particular caused problems for Friend. In the circumstances, it was no surprise when the former Manchester United winger picked out the frontman at the far post with a 16th-minute cross and saw him climb high above Ayala to power home a header. It could have been 2-0 eight minutes later when Zaha once again got the better of Friend wide on the right and picked out Benteke and he laid the ball off to Townsend, who forced a diving save from Victor Valdes. Boro gradually found their feet with Stewart Downing down the left and Cristhian Stuani on the opposite flank starting to make an impression, but they got themselves back into the game from a set-piece. Downing floated a 38th-minute corner towards Ayala, who leapt prodigiously before planting a header towards the far post, where Steve Mandanda could only help the ball into his own net. 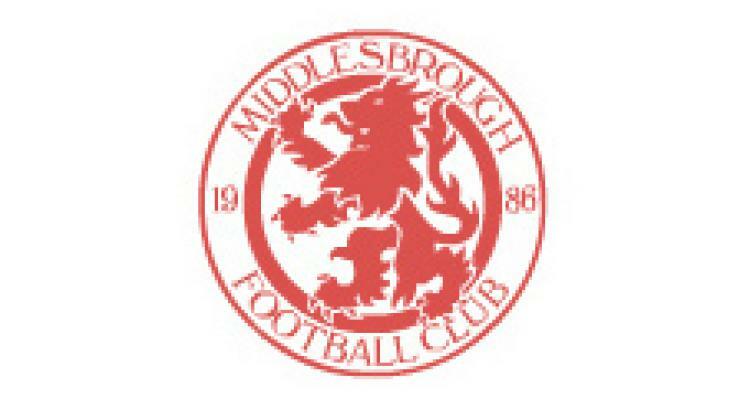 The Teessiders might have returned to the dressing room with a lead had it not been for the Palace keeper, who denied Alvaro Negredo one-on-one on the stroke of half-time after Viktor Fischer had robbed Puncheon and played the striker in. Valdes was not so fortunate two minutes after the restart when Friend tried to steer James McArthur's through-ball back to him, but left his effort fatally short, allowing Zaha to steal in and curl a left-foot shot into the net. Downing blasted a 30-yard drive inches wide of the diving Mandanda's right post as Boro responded and, perhaps inspired by his team-mate, central defender Ben Gibson dispatched a 56th-minute rocket from even further out which required a touch from the keeper to prevent it from flying into his top corner. Scott Dann survived appeals for a 73rd-minute penalty with Boro claiming handball as he cleared a Downing cross, and Ayala headed just over from another Downing corner four minutes later. But the game ended in controversy when the ball appeared to strike Damien Delaney's arm after Mandanda had pushed away substitute Gaston Ramirez's shot, with referee Neil Swarbrick again unimpressed.